This review is a bit late, as the 2012 has already started. Technically though, the new drama season has not started yet. I barely remember the dramas I’ve watched this year (there were so many), but I’ll do my best to touch on most of the dramas I’ve watched (by watched, I mean more than three episodes). I have already written a messy review on this drama. To summarize: the plot drags on and gets old (80 episodes! ), but there are a few cute scenes that are worth watching. I’d advise you to watch this drama with an episode summary on hand (try searching for one on Baidu). This could be considered a spin-off of My Daughter, since it has four of the main actors and the same director. At 30 episodes, this is definitely an easier drama to swallow than My Daughter. The plotline is based off of a Taiwanese drama, Prince Turns into Frog, with a few added twists. In my opinion, this version is better in terms of the acting and the actors. Qiu Ze and Tang Yan make an adorable couple. The name of this series may sound familiar, as director Zhang Yimou and actress Gong Li starred in a movie by the same name. I’ve been a fan of Ady An since her Chinese Paladin days, and I watched this series mostly for her. Du Chun is surprisingly charismatic, as the general, the best friend, and the tomb seeker. The romance in the first life is the most touching, which is expected since it is the basis of the events in the next two lives. My hazy impression of this drama is that it was very mediocre, in terms of the set, the costumes, the acting, etc. One of the highly controversial dramas of 2011, Gong was the drama that catapulted Yang Mi and Feng Shaofeng to fame. Rumors of their ‘FengMi’ romance also kept them in the spotlight (personally, I’m a FengMi fan). One of the many time travel and Yong Zheng series, Gong is, sadly, a Yu Zheng production. No matter how amazing Yang Mi and Feng Shaofeng’s chemistry was (and still is), it cannot compensate for Yu Zheng’s abominable script. The script and the plot are perfect examples of plagiarism in the entertainment industry. Needless to say, Yu Zheng does not have a great reputation. The more legitimate twin to Yu Zheng’s Gong, BBJX is classy, pretty, and heart-wrenching. It hits all the right notes that Gong did not. The costumes are gorgeous, the actors were (mostly) amazing, and the emotional turmoil of the characters was very well done (well-written, well-acted). Based on the novel by Tong Hua, BBJX stuck to the plot of the novel (the producers bought the copyright from Tong Hua…unlike a certain other drama). Despite all the possibilities of failure in this drama, BBJX surprised us…in a good way. One of the better dramas, Strange Hero Yi Zhi Mei was a creative success. It mixed in some comic book elements with the usual wuxia parts, creating a very unique approach to a familiar tale. Contrary to popular belief, I think this was Liu Shishi’s breakthrough role, and not BBJX. Her portrayal of a spunky, awkward, straightforward tomboy is a deviation from her usual characters. Wallace Huo was also very handsome as the scruffy hero, a change from his uptight Xian Jian 3 character. Put simply, this was fun to watch. There is a reason some classics should never be reproduced. There is a reason why I didn’t make it past watching the trailer and a few clips. I know I said ‘”watching” means I saw at least three episodes, but this series is so atrocious, I must warn you. Do not, under any circumstances, watch this. Keep Zhao Wei’s version forever engrained in your mind. This series is a perfect example as to why other classics should be reproduced. This series is beautiful. Beautiful acting, beautiful scenery, beautiful songs, beautiful people, beautiful bromance. Out of the slew of reproduced classics, this one is the best by far. 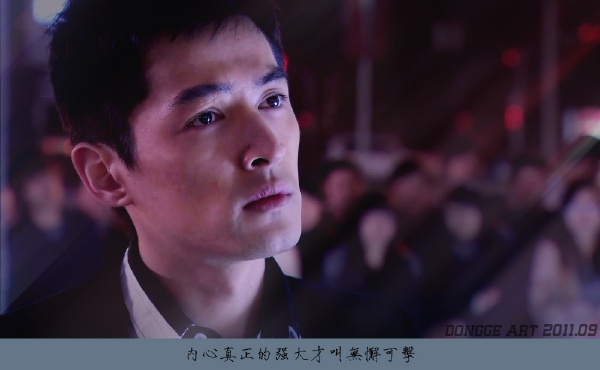 My Hu Ge drama of the year! Amazing, as expected of the strong combination of Hu Ge, Qiu Ze, Tang Yan, and Qi Wei. As an avid Hu Ge fan, I will concede that his charm was eclipsed by Qiu Ze’s performance. What is a girl to do, when the intense eyes have a sharp uniform to match? I know I’m not in charge of the Korean sector, but I can’t help but include this in my list. Ever since I started this series, I’ve been raving about it to anyone who would listen. 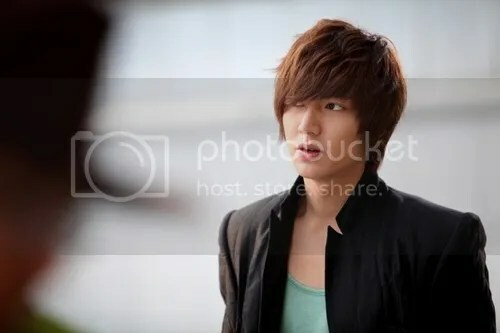 Lee Minho was so unattractive in Boys Over Flowers, but I became a diehard fan of him and Park Minyoung after this. And may I just say that Prosecutor Youngju is the most perfect law enforcement officer alive? Tearjerker. The ending was absolutely unfair. I can’t believe how many times I cried during this drama. Gong 2 (宫锁珠帘）– FengMi cameo! This entry was posted in Chinese Dramas, Drama Recaps/Reviews, Japanese Dramas, Korean Dramas, Taiwanese Dramas and tagged 2011, 49 Days, Ancient Terracotta War Situation, Bu Bu Jing Xin, City Hunter, Gong, Huan Zhu Ge Ge, My Daughter, Strange Hero Yi Zhi Mei, The Unbeatables, Waking Love Up, Water Margins. Bookmark the permalink.